In 2016, the United Nations General Assembly declared February 11 the International Day of Women and Girls in Science. In doing so, they promoted the understanding that the participation of women and girls is essential to meeting global goals for sustainable development and scientific achievement and also that barriers to their full participation persist around the globe. In fact, a study comprising 14 countries found that women are only about half as likely as men to earn bachelors’ or masters’ degrees in the sciences and one third as likely to earn science-related doctorates. In recognition of the obstacles that women face in the scientific community and in celebration of the contributions they have made in spite of those obstacles, we’re highlighting a few outstanding female scientists who have made contributions related to medical imaging. 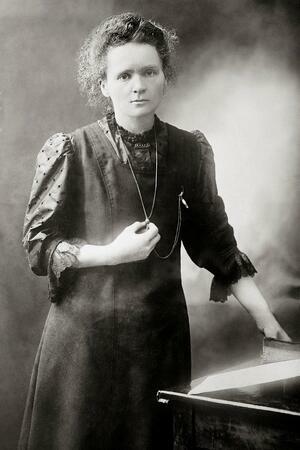 Marie Curie, born in Warsaw, Poland, moved to Paris at the age of 24, where she studied physics and math at the Sorbonne. There, she met her husband, Pierre, and together, they discovered the elements polonium and radium. In 1903, she became the first woman to win a Nobel Prize, which she shared with Pierre and physicist Henri Becquerel. Following her husband’s sudden death in 1906, Marie Curie took over his teaching position and became first woman to teach at the Sorbonne. She again won a Nobel Prize in 1911, this time for chemistry. Marie and Pierre’s work was essential to developing the medical use of X-rays. During World War I, Marie Curie helped create mobile X-ray devices for use on the battlefield, which she personally drove to battle zones to treat injured soldiers. She became the head of radiology for the International Red Cross and trained others in the use of X-ray imaging. Alice Ettinger was born and educated in Berlin, Germany, where she received her medical doctorate in 1924. After completing her residency, Ettinger went to work with Dr. Hans Heinrich Berg. Berg was known for the invention of the spot radiograph device, which captured still images from fluoroscopic exams and allowed them to be printed on film. After studying with Berg and learning his imaging technique, she went to the U.S. to bring the spot radiograph device to Boston Dispensary and provide training to the staff there. After Hitler’s ascension to chancellor of Germany, Ettinger accepted a faculty position at Tufts University and made the U.S. her permanent home. In 1939, she became chief radiologist at Boston Dispensary and prioritized hiring of displaced German Jewish doctors before the U.S. joined the war. Rosalind Franklin is probably best known for her groundbreaking work in the study of DNA. After earning a doctorate in physical chemistry from Cambridge University and studying X-ray diffraction techniques in Paris, she became a research associate in London. There, she took awe-inspiring X-ray images of DNA, which played a pivotal role in developing our current understanding of its structure. 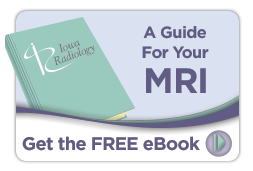 At Iowa Radiology, we appreciate all of the scientific contributions that help to promote health around the globe. We honor the dedication of scientists who overcome barriers with determination to do their part to create a better future. Since the time of Marie Curie, X-ray imaging has taken giant leaps. 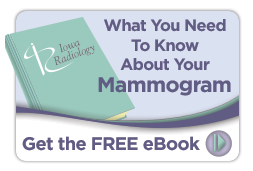 Today, we can offer advanced 3-D mammograms that allow radiologists to detect more breast cancers than ever before while delivering a tiny fraction of the radiation used in those early images. CT scanning and MRI give us views inside the body that Alice Ettinger may have never imagined. By supporting science education and opportunities for everyone who is inspired to pursue it, we can ensure these kinds of advances continue. 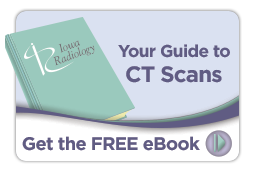 To learn about some of the procedures we perform at Iowa Radiology, feel free to browse these free educational resources.